Fuchsia Spoiled Rotten Gymnast Leo. 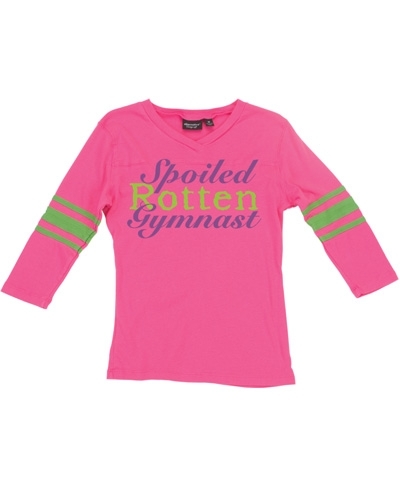 A leo for the truly "Spoiled Rotten Gymnast". Cotton lycra with logo in purple and lime green.